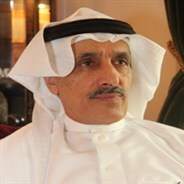 In a two-part series published February 3 and February 10 in the Saudi-owned pan-Arab daily al-Hayat, authoritative Saudi analyst and professor of political sociology at King Saud University Khalid al-Dakheel penned a sober, in-depth analysis of the reasons for the required overhaul. Changed times open the way to changed societies. Nation-states have to adapt and react accordingly. Likewise at the regional level, where a nation-state is expected to respond and react to changed surroundings, revamping the rationale of its regional and international policies and alliances correspondingly. Aftereffects of the changes sweeping the Arab World – all the way from the Arab Mashreq to the Arab Maghreb – for the past two years have been monumental. Because their socio-popular causes targeted the ruling establishment and the nature of the State, the Arab World we knew in the 20th Century is fading away before our eyes. Problem is, no one knows when or how or where the changes in the regional states’ political cultures, values, interests and alliances would lead. What is certain is that the Arab World won’t be the same again. The era of the two Assads’ rule in Syria, for example, is clearly fizzling out. But what kind of Syria will emerge from the ruins, rivers of blood and social fabric distortions that the two Assads’ rule caused over 40 years? In Egypt, the First Republic has cracked. But the Second Republic is yet to see the light because of a destructive struggle in free fall. The struggle pits two major components of a shabby political class. The Muslim Brotherhood leads one component while its detractors lead the other. The same, or almost, can be said in the cases of Yemen, Libya and Tunisia. Then comes Iraq, where years of suffering culminated in the U.S. invasion. After the end of the U.S. occupation, came sectarian governance in Iraq under Iran’s thumb. And now, there is a new uprising in Iraq’s west, seeking a redress. Where would all this lead? What would happen to political power checks and balances in Jordan and Morocco? How would the situation in Bahrain end? The questions are endless. But they are legitimate, pressing and on everyone’s mind. They also need to be addressed audaciously, transparently and realistically. Saudi Arabia falls in the middle of these troubled waters and sits in the eye of their storm. She is a vast, rich and politically stable country. But she is lashed by wild winds from all sides. Paradoxically, Saudi Arabia’s influence on the stormy events’ course is far from being commensurate with her breadth, her potentials, her stability and her vast network of regional and international relations. Her clout in Iraq, for instance, is now little. Saudi Arabia invested massively in this neighboring Arab country since 1973, essentially throughout the era of the late Saddam Hussein. The investment ended with the disastrous invasion of Kuwait and its aftermath. Among the consequences was Saudi Arabia exiting, and Iran entering, Iraq from the early days of the U.S. occupation. Foreign Minister Saud al-Faisal said as much at a Council on Foreign Relations meeting in New York in September 2005. He told a questioner then that the United States was handing Iraq over to Iran on a silver platter. This was stated publicly. But did Washington hand Iraq over to Iran on a silver platter by Saudi default? Why did the United States overlook the interests of Saudi Arabia and her Gulf Cooperation Council (GCC) partners as well as Jordan and Egypt when it was occupying Iraq and running its internal affairs? All the said states were Washington’s allies. So why did the administration of George W. Bush hand over the reins of power in Iraq to Iran’s Iraqi proxies? How come the U.S. and Iran went fifty-fifty in Iraq since 2003? What made Washington ignore the scope and depth of social and longstanding relations between Iraq and Saudi Arabia and their mutual interests, given that the two countries share a 900-kilometer-long common border? Where Washington was concerned, its alliance with Riyadh in this case counted for little. Why did this happen and how? Can the outcome be blamed on the conservative nature of Saudi foreign policy and its tendency to react instead of taking the initiative? Turning to Syria, the payback was not any better. Saudi Arabia invested much -- politically and financially -- in the Assad regimes for decades. It is fair to say the investment in Hafez paid off to a degree. The investment secured a modicum of stability in intra-Arab and Arab-Iranian relations, in forging a Saudi-Syrian-Egyptian axis that played a key role in the October War and in realigning Arab positions generally. But the axis failed to lay the foundations for equitable and solid Saudi-Syrian bilateral relations. Proof is that it failed to prevent Syria falling gradually into Iran’s lap. Under Bashar, a solid Damascus-Tehran alliance was cemented. Saudi-Syrian relations started going downhill and reached breaking point after Lebanese Prime Minister Rafik Hariri’s assassination in 2005. All accusing fingers pointed at the Syrian regime and Hezbollah. Saudi Arabia tried to overcome this in the three years leading to the May 2008 Doha Agreement, which gave Hezbollah – Iran and the Syrian regime’s cat’s paw in Lebanon – a one-third blocking majority in a planned government. Hezbollah has since become the kingmaker in Lebanese politics. Armed to the teeth by Iranian weapons it receives via Syria, the party now decides the head, lineup and manifesto of every new Lebanese government. Awkwardly, the Saudi-sponsored 1989 Taef Agreement provided for the disarmament of all national and non-national militias. All have disarmed apart from Hezbollah. In other words, as part of her investment in the Syrian regime, Saudi Arabia provided Arab cover for the flow of Iranian arms to Hezbollah via Syria. This does not mean Saudi Arabia approved all that was happening. But all this happened nevertheless. Doesn’t this warrant root changes in Saudi foreign policy and its cornerstones? Over and above the foreign policy debacles of the highest order in Iraq and Syria, you can hardly point at any Saudi foreign policy success or breakthrough elsewhere since 1990 – one that would match the investment put in it. Of late, however, Saudi foreign policy succeeded partially in two instances. Before the Arab Spring, it did well in cooperating with the Sana’a government to keep the political situation in Yemen under control. After the Arab Spring, it succeeded through the “Gulf Initiative” in having Ali Abdullah Saleh transfer power to Vice-President Abed Rabbo Mansour Hadi to lead the transition and spare Yemen a slide into civil war. But the success is still unfulfilled. Southern separatism has reignited, the country remains in political transition under UN supervision, and Saleh is still lying in wait. So why is Saudi foreign policy’s track record a blend of unfulfilled successes and utter disappointments? To be fair, Saudi Arabia is not to blame for the Yemen initiative staying unfulfilled. The blame falls on the complexities of Yemeni politics and the meddling by Iran, which is bent on smuggling arms into the country to destabilize it and gain a foothold in the Arabian Peninsula’s south. In March 2011, Saudi Arabia and her GCC partners decided to deploy Peninsula Shield forces in Bahrain to protect vital installations after the escalation of clashes there between security forces and protesters. It was the right decision to make in terms of objective and timing, except that the decision lacked a political initiative to heal sectarian and political divisions that gripped Bahrain in the wake of the Arab Spring. Again, Iran has been exploiting the Bahrain crisis to gain a foothold at Saudi Arabia’s doorstep. In other words, Saudi Arabia and her GCC partners succeeded in helping Bahrain cope with the situation, but failed to bring it to a close. It seems the anchors of Saudi foreign policy no longer suit this period. The anchors were based on making the most of the balances of powers and interests in the region without direct involvement. The geographic, economic, demographic and Islamic credentials of Saudi Arabia allowed her to carve herself a strategic position in a strategic part of the world. Until recently, she was one of the four legs of the Arab regional order table. The irony is that Saudi Arabia had no military muscle to match either her geographic and economic weight or her political and regional role. Today, she can no more be the region’s powerbroker, especially in the Arab Gulf. Iraq and Iran were at one point the Gulf’s powerbrokers. Since the occupation of Iraq, Iran shares the role with the United States while seeking to become the region’s hegemon. With foreign policies requiring teeth and power sources, Saudi Arabia is still relying on (1) diplomacy and financial giveaways and (2) regional and international power balances. She has control over the first two elements and controls nothing of the rest. The result is what we saw and are seeing in Iraq, Lebanon and Syria. Clearly, the policy of relying on the balances of power game without military muscle requires revision.